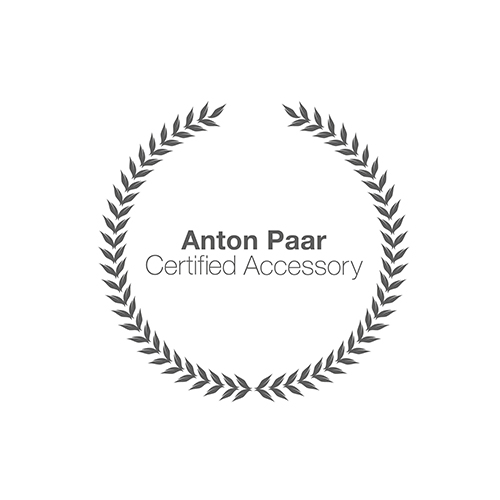 2.1 We are Anton Paar Ltd., VAT ID No. GB860226542, a limited liability company incorporated under the Companies Act with its registered office and place of business at Unit F, The Courtyard, St. Albans, Hertfordshire, AL4 0LA, United Kingdom, registered with the Companies House under Company Number 01606777. 6.1 By completing an online purchase order, you are making an offer to purchase the selected produc at the price set out in our webshop and pursuant to this Agreement. When you place an online purchase order, you are bound by your order for a period of seven (7) days, unless we reject your order before then. You may not change or cancel an order you have already made. 7.2 Payment can be made in Euro or British Pounds only. Payment shall be deemed to have been effected on the date at which the amount in question is at our disposal. 7.5 The option of payment 14 Days Net is only available for existing customers. Existing Customer is defined as a company or person who has previously bought from us. If you are an existing customer you may choose 14 Days Net payment term, you will receive an invoice payable within 14 days net starting with the date of invoice (including weekends and holidays). (b) suspend performance of our obligations, without any liability to you for such delay, until full payment has been made; and/or. (c) claim compensation from you for all costs and expenses arising from the delay in payment prior to legal action. In any case Seller has the right to invoice all expenses arising prior to a lawsuit, especially reminder charges and lawyer’s fees. 8.1 All shipments will be made to you to the delivery address provided by you according to delivery term CIP (Incoterms 2010), meaning that we will take care of shipping, handling, packaging and insurance to the delivery address you provide, and does not include unloading or subsequent handling. 10.1 Outside the scope of the product liability, we shall be liable only if the damage in question is proved to be due to intentional acts or acts of gross negligence, within the limits of statutory provisions. We shall not be liable for damage due to acts of ordinary negligence. 13.1 You agree to comply with all national and international laws that may apply to the purchase contract as well as all applicable national and international (re-) export control regulations. 15.2 To exercise the right of withdrawal, you must inform us (Anton Paar Ltd., Unit F, The Courtyard, St. Albans, Hertfordshire, AL4 0LA, United Kingdom, info.gb@anton-paar.com, Tel: +44 1992 514730, Fax: +44 1992 514739) of your decision to withdraw from this contract by an unequivocal statement (e.g. a letter sent by post, fax or e-mail). 20.1 This Agreement, the use of this website and any order or purchase made through this webshop are governed by the law of England and Wales, without its conflict of laws provisions. The United Nations Convention on Contracts for the International Sale of Goods does not apply. 20.2 A reference to a particular statute, statutory provision or subordinate legislation is a reference to it as it is in force in England and Wales from time to time taking into account any subordinate legislation for the time being in force made under it. 20.3 All disputes arising out of or in connection with the present Agreement, your visit to our website or webshop or any item purchased by you through our webshop, shall be subject to the exclusive jurisdiction of the competent courts of London, England.